Para pedir tarjetas gratis en cantidades más pequeñas (hasta 20 tarjetas por pedido), por favor usar este listado. We are a parish of 2400 families and half are hispanic. I first noticed some of our more mature Hispanic parishioners veiling and this began my journey to veil. 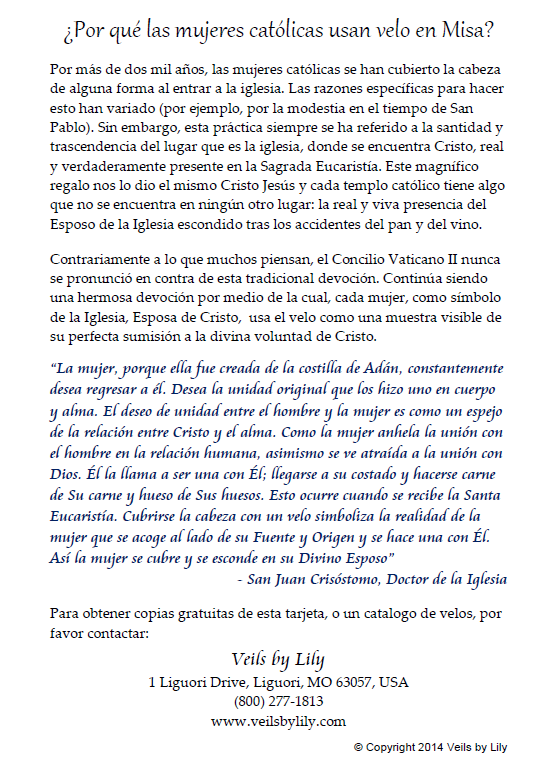 Why not have both English AND Spanish cards available at your parish? Such an affordable resource and easy to read. Will keep ordering to 'restock' our parish throughout the year. 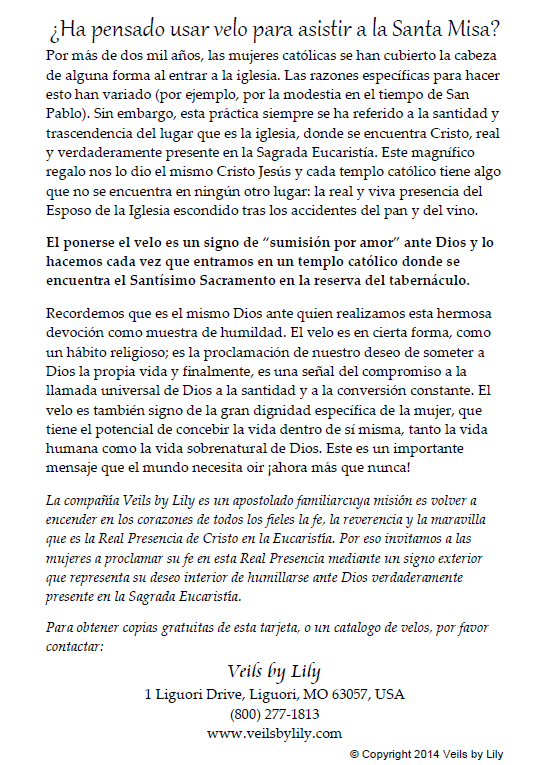 I have ordered both the English and the Spanish versions of "Why do you wear a veil?" cards. We have several ladies in a parish who have begun to veil or are thinking about veiling. When they ask about veiling, it is so convenient to hand them a card and they are delighted to receive it and to read for themselves! What a blessing to have these to share...thank you for making these cards available. It makes it that much easier to share this beautiful tradition.